Math transcends over life and really it does with this movie. For a Filipino, we may not easily feel what dark colored people felt much less women had to undergo through during the 1960s. All we know are we have read about them or have seen movies about the struggles they have to go through and succeed at the end. This movie is like that, it sets you up with who they are, where they are, and when they try to improve their lives, life simply would like to throw them back from which they came. The movie is about three extra ordinary ladies with great passion for success and used their mathematical prowess in the process. Why wouldn't they showcase their number crunching skills when they are working in NASA (National Aeronautics and Space Administration). This is the perfect environment for which they can shine. Of how the color of their skin dictates where they should be, and being women, they are regarded as second class citizens in their own country. Talk about the tumultuous 60s. Nowadays equality is the game but weren't so back then. Recently NASA recognized these women in their contributions to the space program of the United States of America and this movie pushes that envelope still. The movie in itself was great even though this writer hates dramas, but this one was an exception. Direction and editing was superb, story was clear, scenes were fluid, the message was clearly shown to us viewers. 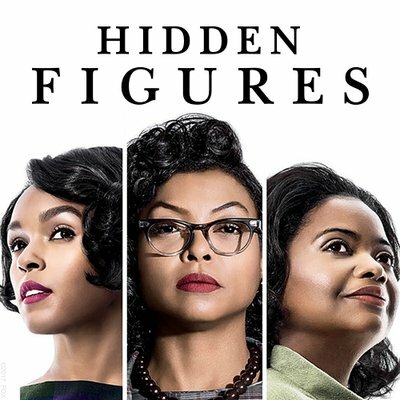 Clearly these women are remarkable in what they did and I felt the movie personifies their ambitions, struggles and accomplishment. What a great way to reward these wonderful individuals to the pursuit of mankind into greatness. If you haven't watched this movie, we do suggest you should. Never mind the boring talks, but you won't notice it as story telling is great in this movie, you will never know the movie is already near end.